Located on Southwestern Blvd. (Route 20) in the Town of Hamburg, NY, Foster Brook Senior Apartments is a luxury senior apartment community situated just a short drive from many local businesses, a shopping mall, Lake Erie beaches, and downtown Buffalo. 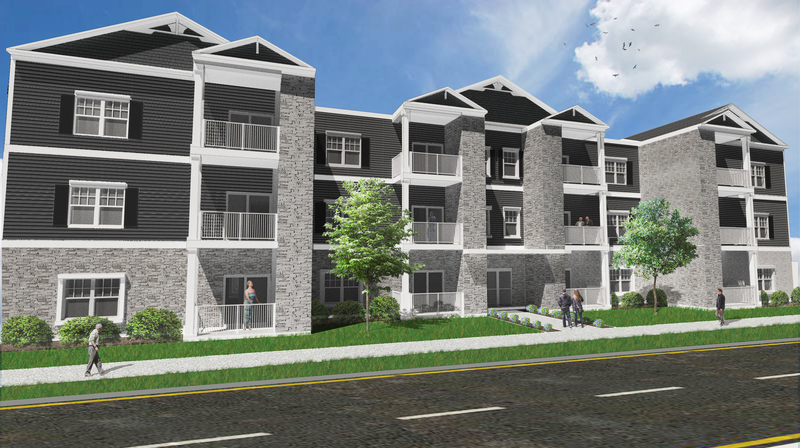 Named after Foster Brook, a tributary that runs through the property, the community will be comprised of 4 apartment buildings, a clubhouse with various amenities, and garage parking options. Each building offers top of the line security features, modern design elements, and gathering rooms. In-building and exterior garage parking available. Our apartments range from 742 square feet to 1272 square feet. Each is equipped with stainless steel appliances, in-unit washer and dryer, balcony/patio, and central air. Heat, water, trash, basic cable, and home phone are included in rent. There is a limited number of apartment buildings/units which are designated for pet owners. Dogs on first floor only. Foster Brook’s Clubhouse features a full kitchen, community room, fitness room, business center, patio with fire pit, and fenced-in dog park. Residents also have pool access. Our clubhouse is open and first apartment building is move-in ready! Construction of our second building is on track for a summer opening. Call or stop in today for more information, to fill out an application, or to schedule a tour. Check back for more updates as construction progresses!